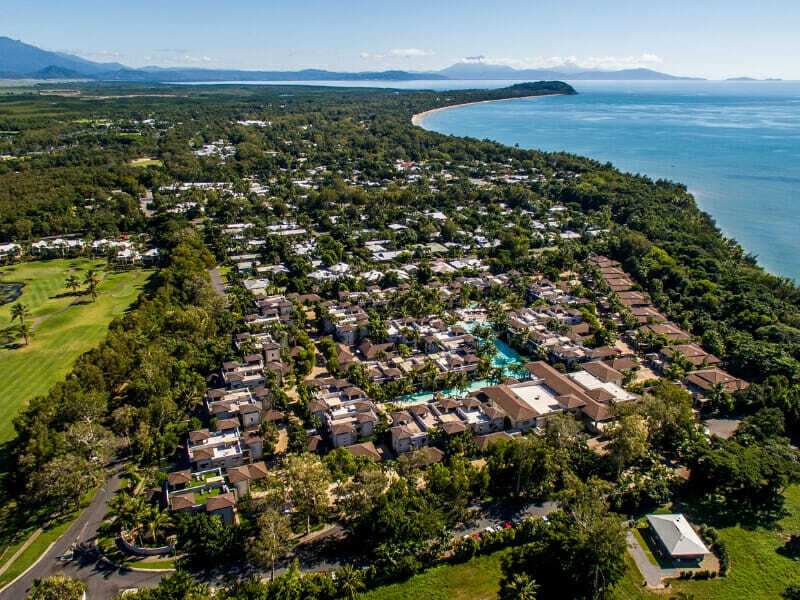 Cape Tribulation – Daintree & Mossman Gorge~: Be picked up by a professional driver/guide from the hotel for one of topical Queensland’s most popular tours! Experience breathtaking tropical rainforests, ancient plant life, crocodile spotting river cruise, unique wildlife and the spectacular Cape Tribulation. Kuranda Skyrail & Rail Tour~*: Join Skyrail and marvel at the technology that has created the world’s most beautiful rainforest experience! Stop and view Barron Falls, learn more about the amazing eco-system or take a leisurely stroll along the rainforest boardwalk! Holidays are the time to indulge and, with a bonus 3 course set menu dinner for 2, you can do that with ease! Enjoy a delicious, fresh 3 course meal without breaking the bank! We all get a little thirsty after a flight, right? 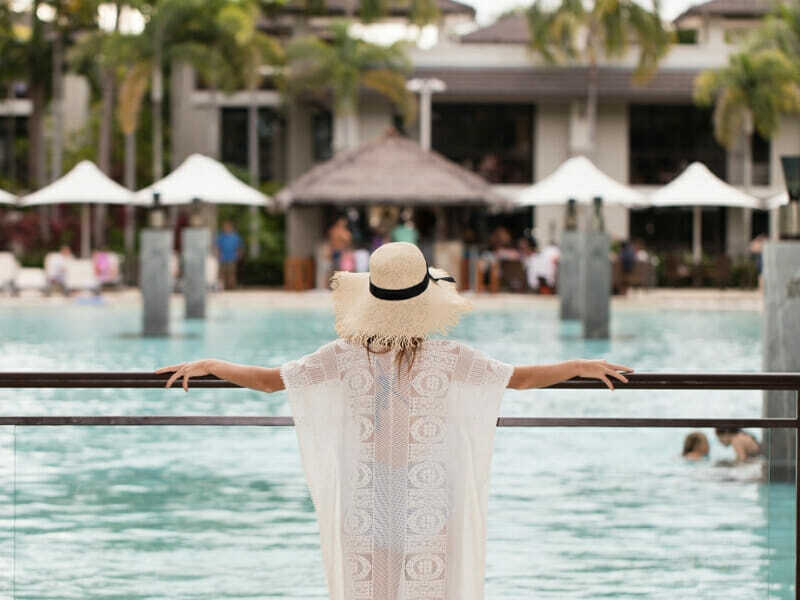 When you arrive at the Pullman Port Douglas Sea Temple Resort & Spa there will be 2 cocktail vouchers waiting for you to use! 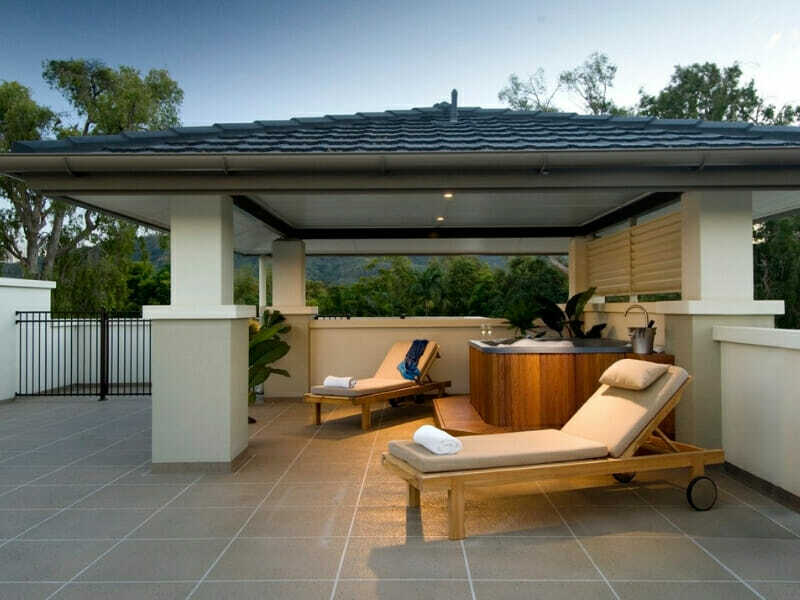 The perfect way to start your My QLD Holiday! 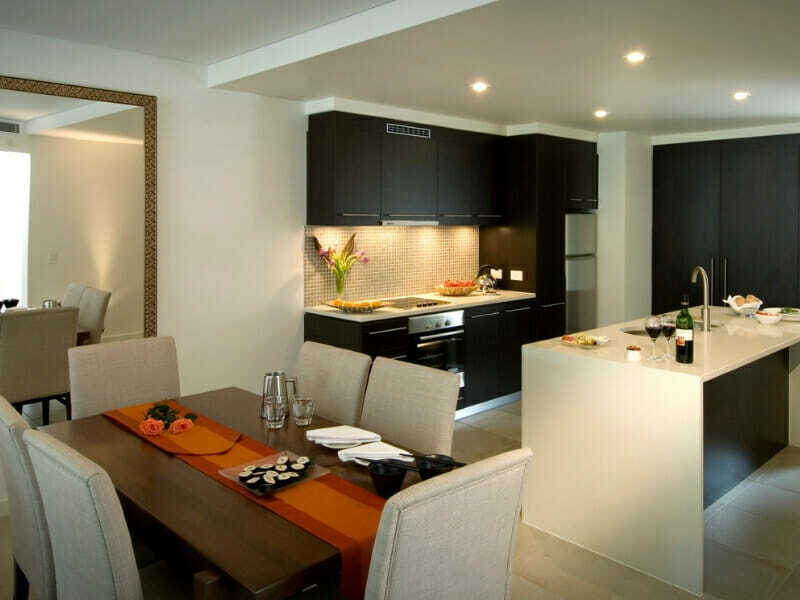 1 Bedroom Apartment – UPGRADE from only $250 per person! 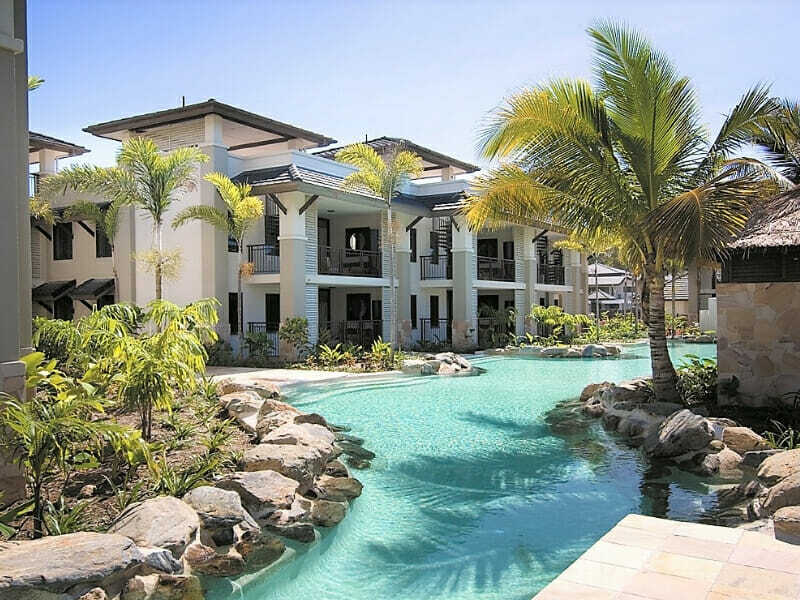 Pullman Port Douglas Sea Temple Resort and Spa feature homelike accommodation coupled with all the comforts of a 5-star hotel. 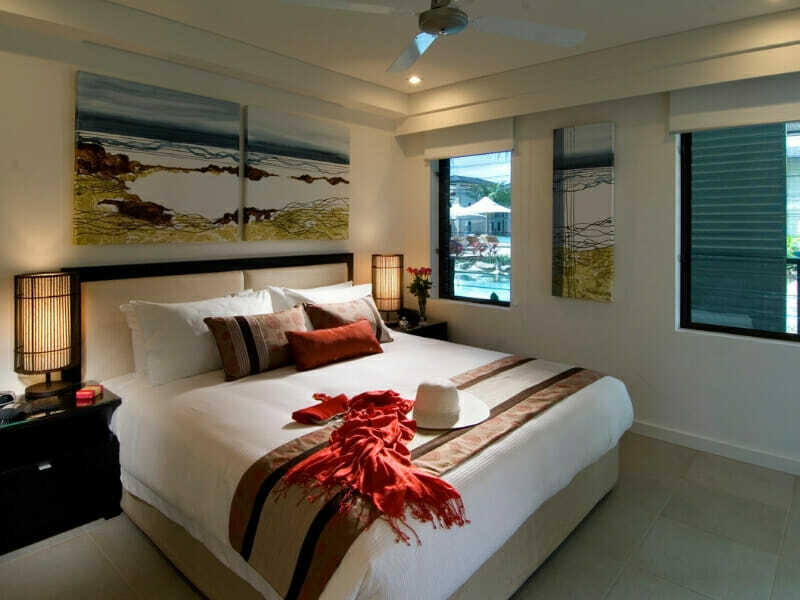 Your room will have a private balcony with access to the lagoon pool as well as a fully-equipped kitchen with attached laundry facilities. 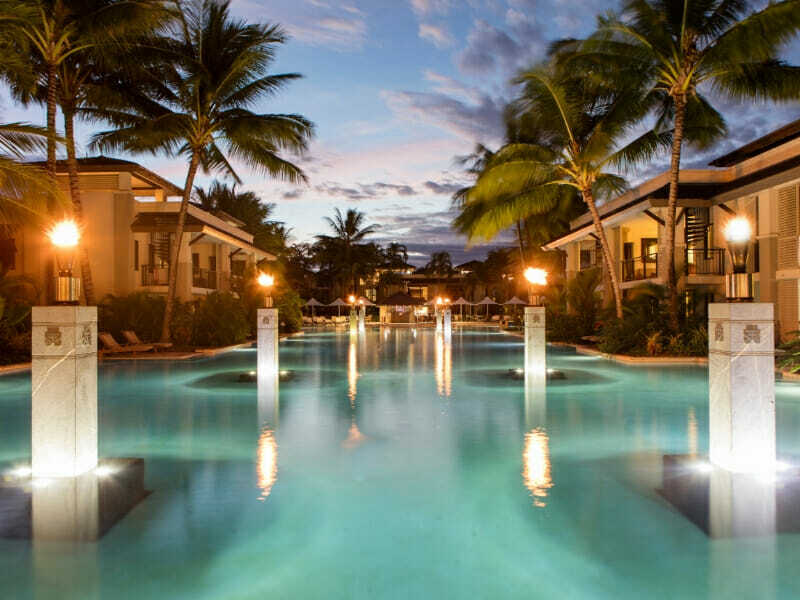 Enjoy gourmet meals with piquant flavours at the on-site restaurant as well as pure bliss in the immensely large pool. 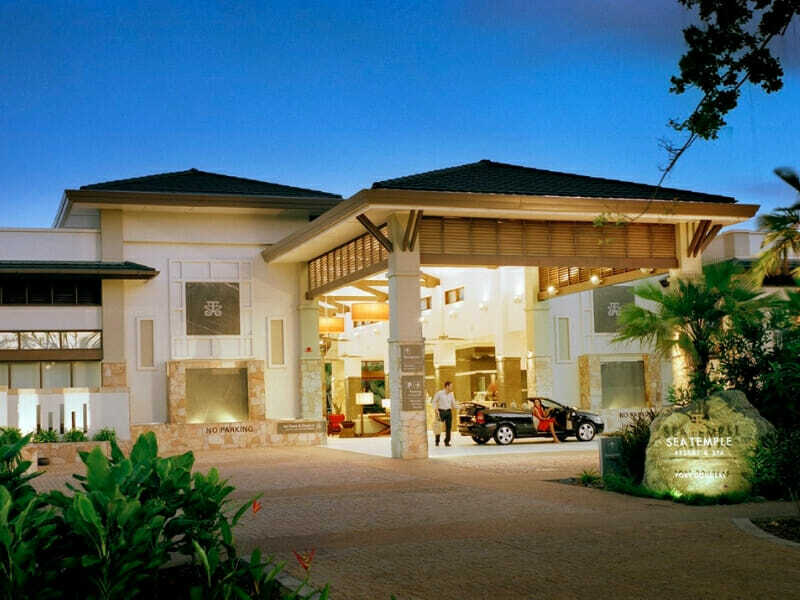 Local shops and pubs are also within easy reach of the resort. 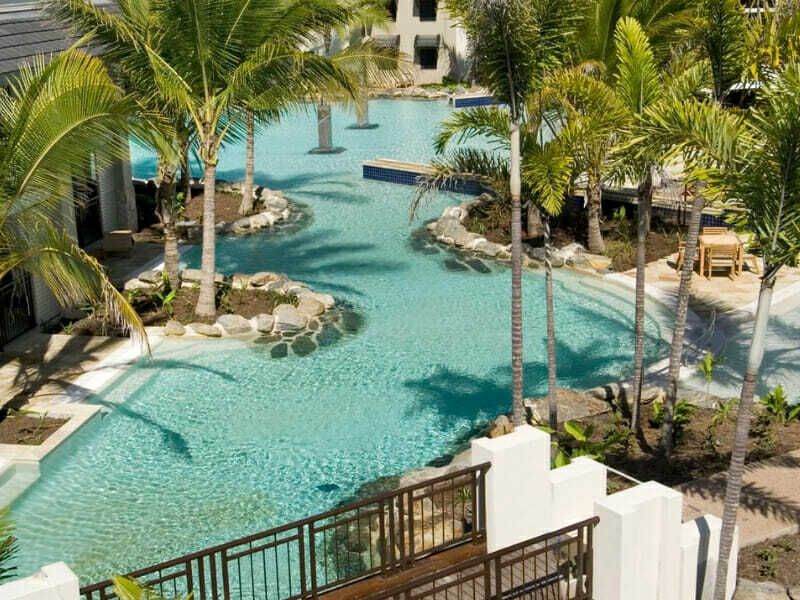 Read more about Pullman Port Douglas Sea Temple Resort and Spa here! ~Cape Tribulation – Daintree & Mossman Gorge: • Travel in air-conditioned comfort today in our luxury purpose-built vehicle on this eco-accredited tour led by our experienced and knowledgeable guides. Mossman Gorge: Visit Mossman Gorge Centre and enjoy morning tea before boarding the shuttle for your transfer into Mossman Gorge. Discover secrets of the world’s oldest tropical rainforest as your driver takes you on a guided walk through the Gorge boardwalk, sharing their knowledge and the history of this World Heritage listed region. Daintree River Cruise: Hop aboard the Daintree River Cruise and reach an understanding of the intricate Daintree eco-system. Keep an eye out for wildlife including the elusive Saltwater Crocodile. Lunch: Enjoy a delicious BBQ lunch in the rainforest of Noah Valley – this area is renowned for the existence of primitive flowering plants including the Idiospermum which links back to the most ancient lineages of plants found in the world today. Cape Tribulation: Where the Rainforest meet the Reef. Walk on this world-renowned rainforest beach named by Captain James Cook on his voyage of discovery in 1770; admire the coastline and fringing Coral Reef from the Kulki Lookout. Daintree Ice Cream Company: Stop for an afternoon refreshment included at the Daintree Ice Cream Company. Enjoy a delicious exotic fruit icecream cup featuring four flavours (gluten free and dairy free options available). Alexandra Lookout: After winding through the rainforest, enjoy this spectacular lookout over the Daintree River Estuary, Snapper Island and beyond to the Coral Sea. ~*Kuranda Skyrail & Rail Tour ex. 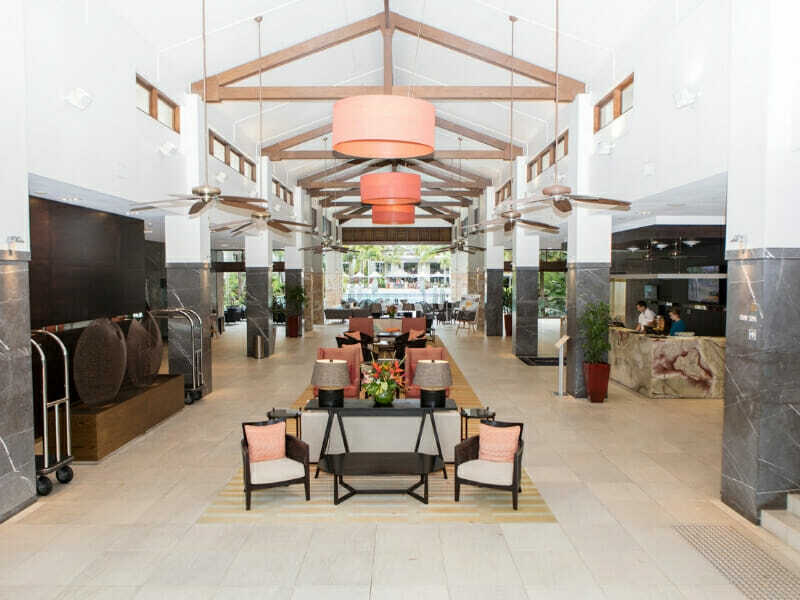 Port Douglas: This morning our driver will greet you, collect your voucher and issue your Kuranda Boarding Pass. We will then transfer you to Skyrail Rainforest Cableway Smithfield, where you proceed directly to the boarding line – there is no need to queue as your Skyrail tickets are already on your Boarding Pass.